WELCOME TO DHARMA ENERGY HOLISTICS! Has pain left you feeling hopeless, like traditional medicine has failed you? I often receive calls from people saying, "You are my last resort! ", because they have gone to doctors or they have tried other types of therapies and they simply haven't been heard. They are sometimes told that their test results show "no problem" while still feeling an innate "knowing" that there is a problem. Western medicine is great at diagnostics and treating symptoms, but it rarely treats the individual as a whole being and seldom addresses the source of the problem. This is from where the most effective healing emerges—the source. With a cure, you may only have the end result, without the understanding or tools of how you got there or the knowledge for prevention of future injury. With a healing you grow beyond the behaviors, the thought patterns and all that contributed to the development of the disease in the first place. You actually discover a new way of living and being through your healing process. You will grow personally and learn about yourself. There is a shift that happens from within and you have a new awareness—a healing to serve you throughout your lifetime. We often seek balance in life, from the "overwhelm" that leaves us feeling desperate or at a loss for where to go or what do next—to propel us forward. One of the first steps in healing is to have our nervous system support us rather than work against us, to have relaxation and balance of all systems. Then we begin to learn where things started (the source) and through that work (bodywork with dialogue and imagery work) we start to "connect the dots" of the story. With healing there is always personal growth. This allows us to ultimately release patterns, physically and emotionally and put better behaviors in place for future well being. By better understanding how emotions govern the complex neurological connection between the brain and body, we begin to learn how to restore balance. The body is a healing machine - if you allow it! In many cases, the body has the ability to heal itself naturally. Our bodies want to self correct. Healing starts to take place as we clear trauma from the cellular memory of the body and balance energy. Since our bodies don't come with "How to" manuals, we can all use a professional to guide, to teach and support us until we can become a steward of our own wellness. And then like a car, we should only need to visit the professional for "tune ups". These specialized ways of reading the body and releasing it from the grip of the past, moves a person into a future of freedom and a continued process for healing. The posture of the body holds the pattern of a person's life and their emotional responses to it. Energy Bodywork can help free the body of restrictions and holding. 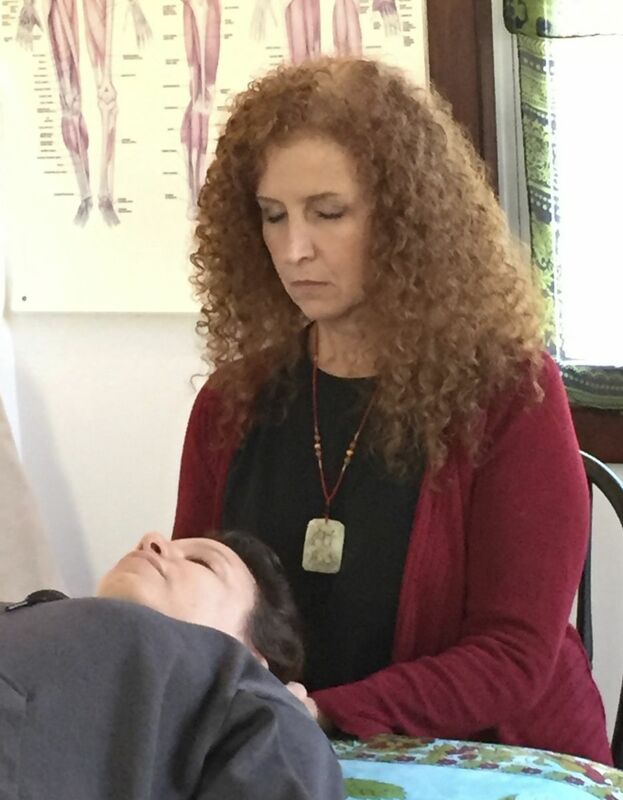 I work with each individual using techniques of highly sensitive qualities of touch, such as CranioSacral therapy, Polarity therapy, Reiki, and reflexology, in tandem with awareness dialogue and breath work to elicit varying responses and to convey specific information through the body. Healing sessions are not full body massages. Clients are fully clothed for their session. Every person is unique and has a unique story. Therefore, every session is unique. Call to schedule a healing session today!